Farmak JSC is getting ready to open a new innovation laboratory. What is its peculiarity and what will scientists do? – After the collapse of the Soviet Union, we realized that our big plant wouldn’t survive on outdated technologies of chemical synthesis. In 1992, there were 5-7 well-known molecules at our disposal, on the basis of which we worked. In order to further develop, we opened a laboratory for the development and implementation of finished dosage forms. 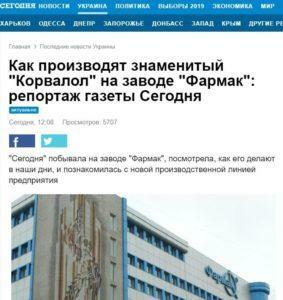 Farmak, in cooperation with leading Ukrainian scientific institutes, began to develop and implement competitive generic medicinal products in industrial production. But the time came when pharmaceutics took a step far ahead and the era of accelerated biotechnology began. For example, aseptic production of ready-made insulin forms appeared. 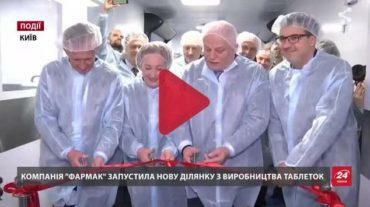 Farmak JSC invested in the training of its specialists at Eli Lilly, that is, in the production line. While grow, we have multiply our intellectual capital. At present Farmak spends only 4% of profits on payment of dividends, the rest – on investment in development and innovations. Two years ago, Farmak opened one of the modern research laboratories on ready-made medical forms in Ukraine. We realized that we could handle not only medicinal products based on chemical and vegetable substances, but also with a full cycle of biotechnological products. We are now preparing for the opening of a research site and laboratory for the production of biopharmaceutical substances. It will meet all the generally accepted requirements of international pharmacy practice. What is the reputation of domestic drugs in the local and international markets today? – To be admitted to well-regulated markets (EU, US, Canada, Japan, Australia, etc. ), medicinal products need to pass expert review according to international standards, and production must be certified to comply with GMP regulations by a European regulatory or other competent authority. More than 10 drugs of Farmak company are registered and marketed in the EU countries (Germany, the Netherlands, Poland). Our drugs are available to the European consumer, as they meet the regulatory requirements of these countries. But in Ukraine, the process is much more complicated. The problem lies in the attitude to the Ukrainian product. For several decades, we have been persuaded that domestic drugs are of poor quality. But over the last 15 years, we have made a huge step towards the development and demonstration of the effectiveness of medicinal products, which is confirmed by the growth Farmak JSC rate of sales since 2010. For 8 years in a row, we have been taking leading positions in the domestic market. What should a national producer do to change the reputation of the products? – The path to recovery begins with a visit to a doctor. The doctor is the main assistant in the choice of medicinal products for the patient in the pharmaceutical market. Farmak invests millions in innovations, professionals who are able to manufacture high-quality drugs, and we would like doctors to develop too – get decent salaries, get state-supported career enhancement. Therefore, the work should be carried out in the following directions simultaneously: improving social conditions for doctors, changing the philosophy of consumption of a local product. The second item depends on each of us, it certainly does not require the Resolution of the Cabinet of Ministers or the “Buy Ukrainian” draft law. The task of national producers is to demonstrate their products to as many Ukrainians as possible, to tell about their benefits and advantages. The law cannot make anyone like or dislike somebody. The foundation of Farmak JSC is innovation and personnel. Are you investing much in the development of specialists? Our experts trained at the base within two grants from American laboratories. But these grants are over now. They came and worked with foreign colleagues. We have achieved such a level, although it took a lot of time. The intellectual legacy is insufficiently appreciated in Ukraine. I traveled to Europe to study with a scientist who developed a method for the preparation and purification of a biologically active human interferon synthesized in a tobacco plant (Nicotiana benthamiana). He is a Ukrainian who got out of the country in due time. There are so many examples of this kind. We are acutely aware of the lack of scientists who could implement their developments in Ukraine. 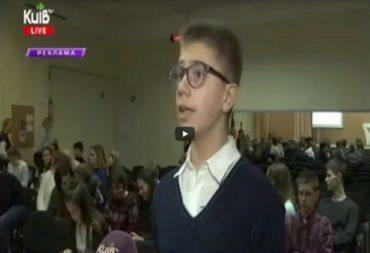 A few years ago the company initiated the project “School of a Young Scientist”. At first it was a local project. Last year we received more than 200 applications from students from Kyiv, Lviv, and Kharkiv universities. This is a young elite who would like to share their best scientific practices. All production companies shall necessarily have such projects, as it will inspire both us and the young people. The obvious reason why young professionals leave the country is the lack of practical basis for the implementation of ideas. Therefore, when they come to the laboratory at Farmak JSC for an internship, their eyes glow. The business is actively investing in startups and is looking for new ideas for development together with young entrepreneurs. Do not plan to work in this direction? – We are keenly interested in such projects. I have been captured by the projects in the field of artificial intelligence in the last six months. I think about robotic production processes and the use of artificial neural networks in research laboratories, optimization of production processes, forecasting sales. We have a robotic line installed under aseptic conditions, but we want to go further and facilitate human labor. So I’m open to ideas. Moreover, I am ready to finance any project that will benefit the company. ECOSCHOOL is a project for children, aimed at solving environmental problems. Will it scale on the whole territory of Ukraine? – At present ECO-SCHOOL is operating in Shostka, a city of chemists. The concept of “eco” is comprehensive and does not apply to a single city or production. Ecological consumption should become a person’s way of life, and it is necessary to teach these principles in kindergarten. It is necessary to start with basic things: it is impossible to throw out paper and a battery into one basket. Eco-study should be ubiquitous. Nowadays an international organization is helping us to develop a school curriculum and we want to implement this project in other cities where our businesses are located. Shostka is just a start. What prevents Ukrainian business from becoming attractive to international investors? – Corruption, which is a key issue everywhere and is blamed for all the troubles, is the least of concerns. The barrier is a lack of understanding of business problems by the system of public administration. Based on my experience of communicating with officials, I can say that they are not interested in investments being made into Ukraine.